Content is a great way to generate new connexions that can lead to future business: by publishing relevant quality content that addresses potential prospects' questions or interests, you generate opportunities to be discovered by them through their search queries or social media. 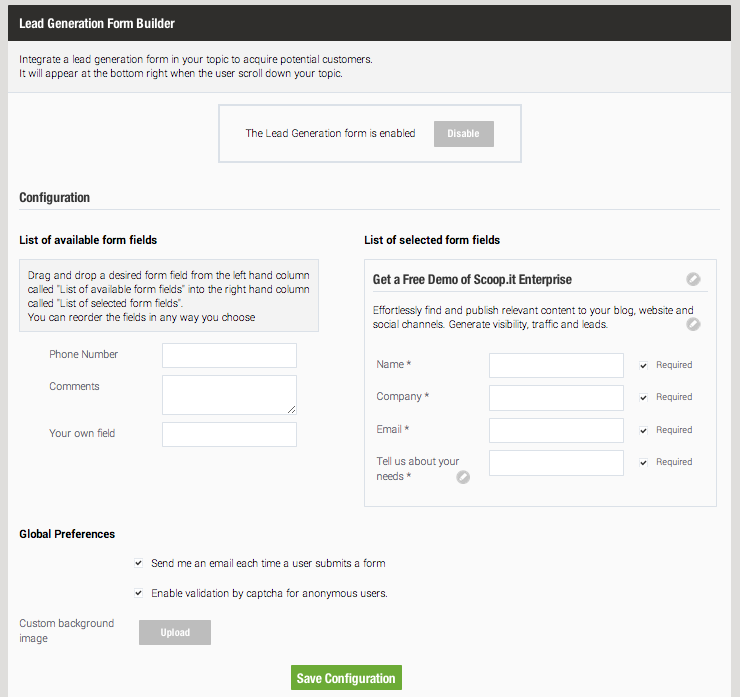 Lead Generation Form Builder Without having to create one line of code, you can add a slider to your Scoop.it pages with a customized message and call to action. 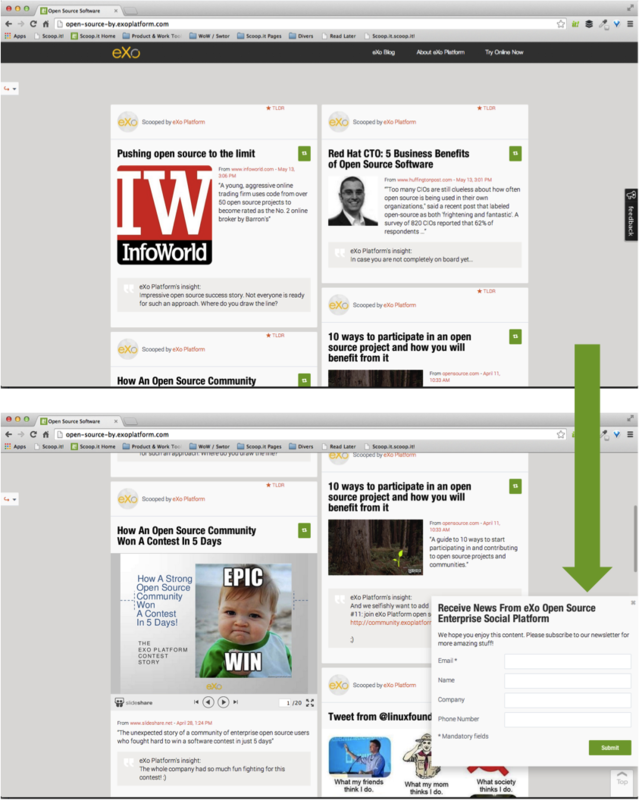 As shown below, when visitors start scrolling down your page – meaning once they’re engaged with your curated content, this slider will appear from the right in a dynamic way to focus your readers’ attention on filling up a form: signing up for demos, webinars, mailing lists, etc. are all interesting options to consider that are made possible and visible by this feature available to all Scoop.it Marketers and Scoop.it Enterprise customers. Once you’ve upgraded to Scoop.it Enterprise, you will find the Lead-Generation form "Topic settings" menu here: Once in this menu, you can build a lead generation slider easily by dragging and dropping the fields you’d like to use: Once you’re done, simply click on “Enable this form on my topic” and start collecting leads! Tip: you can download your leads at any time in .csv format but you can also be notified of your leads in real-time by email by checking the option: Send me an email each time a user submits a form.